In my previous posts I have dwelled principally on deflection, evasion and generally on responding to threats. 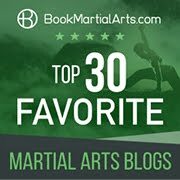 However traditional martial arts techniques aren't always responsive. Often they are proactive. In many martial schools this manifests in very fast combinations; attacks that are strung together in an impressive manner. 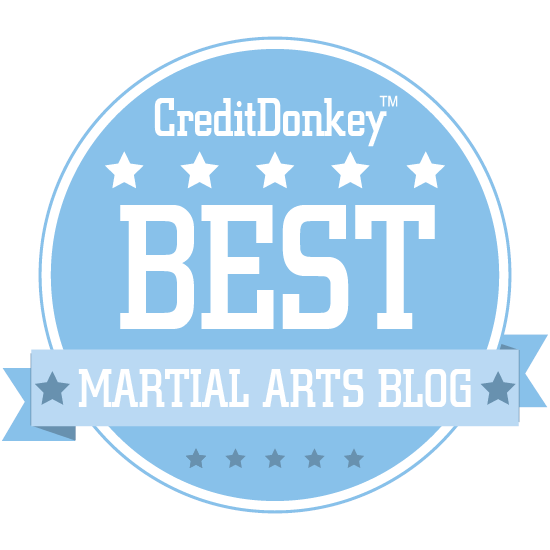 Indeed, such "strings" are the mainstay of many traditional martial arts. The approach is to continue pressing an attack with such speed and ferocity that you overwhelm your opponent. In this respect I am reminded of a school here in Perth which used to advertise such a methodology on television with the slogan "Fight to the total destruction of your enemy"! Southern Chinese systems (in particular the Hakka school) place more emphasis on such a methodology (eg. 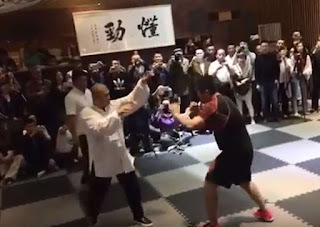 the chain punching of Wing Chun and the fast hand exchanges of southern preying mantis). 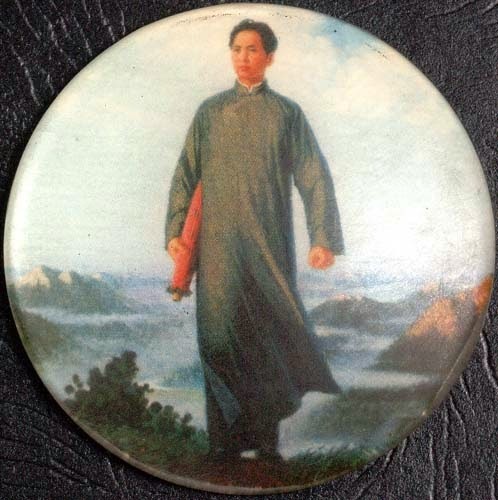 The fact that goju ryu karate also features such "strings" of attacks arguably points to its close relationship to the Hakka schools, as I have discussed in my article "Naha te and its Chinese cousins". It is important at this point to draw a distinction between a mere series of consecutive movements (eg. in a kata/form) and a "string of attacks" which is what I'm talking about here. Practising the former is has a very specific and potentially different use (as I have discussed in my articles "Applying forms in combat" and "The "oh sh*t!" moment: more about 2 person forms"). So how useful is it to practise a string of attacks? Is such a string ever going to be applied literally? If not, is there some other purpose for practising such strings? Before I deal with those issues, let us take a look at some examples. 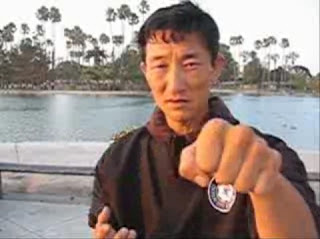 American kenpo is very good at "attack strings". Consider the video below of Paul Mills. The strings are short, sharp and very fast. Both of the above examples demonstrate fairly straightforward attack strings - ie. there are no intervening deflections or movements. The individual attacks that comprise the string are quite simple (and effective). For this reason I would categorise them as a "string of basics"; ie. 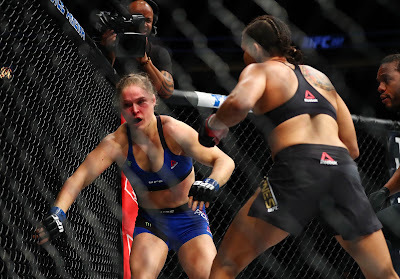 strings of basic techniques such as punches, backhands, slaps, knife hands etc. Consider however the bunkai of Taira Masaji of the Jundokan which I think provides a more complex model, responsive 2 person drill. I say that Taira sensei's drill is a "responsive 2 person drill" because there is a response from the "uke" (ie. 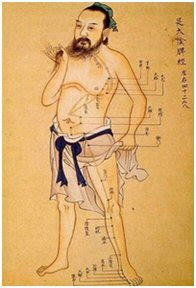 the person upon whom the techniques are being applied). Moreover, the drill curtails greater responses by "cutting the supply lines". In the end the "uke" isn't principally there as a target for the application of the techniques; the uke provides feedback for correct anticipation of succeeding movement. 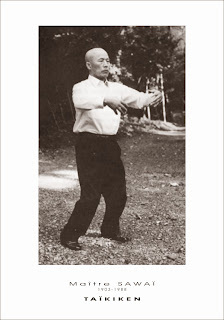 Accordingly I would classify Taira sensei's drill as a "string of naturally flowing bunkai" rather than a "string of basics" due to the added complexity of the interaction. Naturally flowing bunkai works precisely because it anticipates succeeding movement and either deals with it or prevents it from eventuating. But the chances of "attack strings" being applied literally are very slim. In my view, your ability to predict decreases sharply along an exponential curve with every blow in your attack "string". You might be able to predict with some certainty what your opponent will do when you deliver your first blow and where he/she will be after you land it. But with your second blow your chances of prediction have decreased to at best a 50/50 possibility. By your third blow the chances of accurate prediction are, in my experience, fanciful. So does this mean that "attack strings" are worthless? Certainly not. You should practise such strings so as to learn principles of connectivity or what I have "previously described as the process of transition. You take those principles away and apply them in much smaller "strings" as the case requires - you don't apply the literal drills you have been taught. 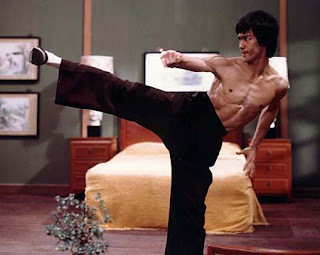 In the Kenpo/JKD case, the strings are far more "basic strike" oriented. Nonetheless, they do teach connectivity of a kind, and I would expect that one might end up applying one or 2 techniques in combination (but probably no more). So if "attack strings" are not the centerpiece of my own curriculum, what drills do I favour for inculcating an understanding of transition (ie. learning "connectivity" of techniques)? 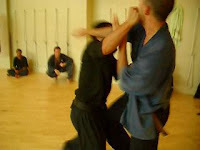 I believe the answer lies in a combination of solo and 2 person practise connecting martial movements generally - not merely attacks. You need solo person practise to learn this transition/connectivity. A form/xing/kata etc. provides the necessary platform. It enables you to practise "connecting things" without the interruption of an opponent. You have to learn how to walk before you can run. A further method of providing a bridge between a solo form and its application lies in responsive 2 person forms. 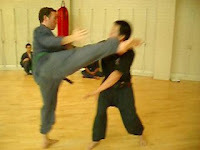 I emphasise "responsive" to contrast it with the "2 person" bunkai as taught by Taira sensei, for example. In the video below, I have packaged bunkai (applications) of the 2 gekisai kata in a manner that focuses squarely on your partner's response to your attack, making you aware that you need to be "live" even as you are landing a blow (again, see my article "The "oh sh*t!" moment: more about 2 person forms"). It is when you break down the 2 person form that you can experiment with "strings" of attacks. For example you can, by agreement, interrupt the flow of the drill at a specific point to enable a series of "finishing moves". Or you might do so without agreement - eg. if your partner isn't fast enough to deflect and counter your attack at a point in the drill you can continue to press on with further attacks. It is here that "strings" or combinations can come into their own. However you use them, great care must be taken not to give "attack strings" too much weight; remember that one good counter will always beat a combination of 2 or 3 or more attacks. In this regard I am reminded of a WBA heavyweight boxing championship fight I watched in the '80s between South African Gerrie Coetzee and American Michael Dokes (you can see part of the fight here). Dokes was famous for his fast combinations and came out early raining punches upon Coetzee. Coetzee absorbed these and ended the fight with a single right cross. Then there is the ethical/legal issue; should you really fight "to the total destruction of your enemy"? Perhaps this is permissible in battle (however even in war there are "rules of engagement"). In a civilian defence context, once your opponent is "down" you ought to consider very carefully pressing your attack "to his total destruction" otherwise you might end up behind bars. The law looks very dimly upon those who go "one step too far" once a threat has been neutralised or removed. In the end, "attack strings" are good to practise; they teach you principles of connectivity and have a place in a wider curriculum of single and 2 person drills. However it is my view that they are only a very small part of learning combat skills. Behind their "impressiveness" hides the reality that an attacker never stands unresponsive to your attacks. Rather he or she will react to your every move. It is far more important (though less impressive) to spend time understanding the process of interaction between you and your opponent than it is to learn how to "rain blows" upon him or her. 1. 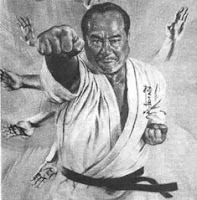 Combat sports practitioners often extrapolate from here and assume that bunkai (and hence kata) is worthless because it is not, and cannot be, applied literally. I think they've missed the point. Learning transition is important for the reasons I've discussed in my article "Applying forms in combat". Accordingly the criticisms combat sports practitioners level at "strings" are appropriately levelled at their predictive unreliability only - particularly of attack strings.